ADAM STROM OF RE-IMAGINING MIGRATION. 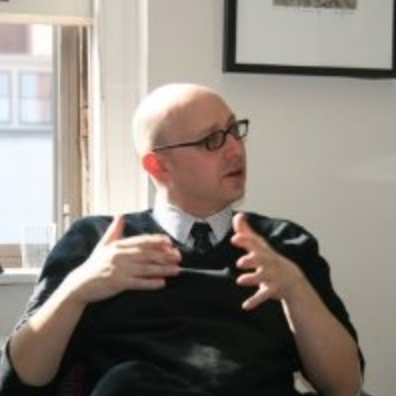 Adam also serves on the NIOT Advisory Board. Each of the issues dominating the national discourse these days - immigration, the safety of our children, the rights and protections of all our citizens - are avenues that can further divide us or bring us together. Not In Our Town seeks to partner with other organizations, such as Re-Imagining Migration, who focus on creating ways to move critical conversations forward in ways that help us all build bridges. In a recent post, Re-Imagining Migration’s director Adam Strom examined the language we use to speak about immigrants. Educators in particular will want to read Adam’s suggestions for approaching this topic in the classroom. NIOT’s Patrice O’Neill interviews Adam about how language reflects our views on immigration and his work with Reimagining Migration. In conversation people listen to the words others use to gain insight into their beliefs. Patrice O’Neill [PO]: Both “undocumented immigrant” and “illegal alien” are used to describe people in this country who are in a country without papers. What can we learn from these terms? How do terms like “illegal alien” create a sense of “othering” in a community? In general, I try to be generous with people as they look for the language to talk about issues associated with migration. One of the challenges we face is that there is too little civil discussion so people echo what they hear or what they know. It is important that we find ways to listen, and when necessary, challenge or disagree, but to do so in ways that are constructive. Words conjure images, whether we are aware of them or not. That’s what language does, the words we use evoke emotion and images, that’s how they convey ideas. Often, I believe, people use words without thinking about, or knowing, how they might be received by others. Of course, there are some people who work carefully to craft messages through their use of words in order to instill or reinforce stereotypes and seek particular behaviors. Labels like “illegal alien” distance us from the people we are describing. For many, the word alien brings to mind images of people coming from somewhere else with malicious intent. Alien is often paired with words like invasion, and then we have this idea of someone coming from somewhere else, possibly another planet to take over like in a 1950s horror movie. Of course pairing “alien” with “illegal”, only reinforces the idea that these people are not like us. Instead of people and families, often fleeing desperate conditions, the term sends signals that they are a problem. 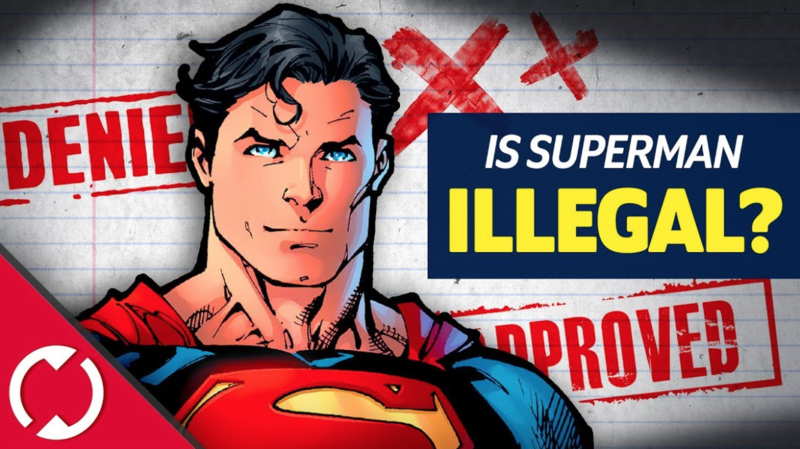 Others have circulated images of Superman reminding people that he was undocumented, often calling him an illegal immigrant or an illegal alien. These images have power. The point is that the words we use matter and we should be thoughtful about the language we use. If we seek solutions, let’s use language that helps build bridges instead of creating divisions. PO: What kinds of tools and insights can teachers, parents and community members provide to young people to help them speak respectfully as they grapple with immigration issues? I think all of us need to start with our own education. It is one of the reasons I was caught by David Nakamura’s column in the Washington Post. He helped to break down the particular political uses of language in the current debate over immigration. By seeing the language in context, and hearing people’s intentions as well as the responses to language, the column offers us a chance to step back and reflect on the words that we use. I am thrilled that you picked up our blog, which we hope will be helpful as a resource for teachers, parents, and community members. I also think we have to find ways to listen to each other’s stories and experiences with respect. That’s one of the reasons I am so excited about our Moving Stories project and storytelling app. It offers a model to build conversation and structured questions intended to help us learn about each others stories. At some point in our histories, almost all of us have been migrants. Some of us have crossed borders in this generation, others’ families have done so in the past - either by choice or they were forced to move through slavery or through other experiences. Other family stories are informed by their own migrations, moving west, moving away from home, we all have Moving Stories and we believe we would be better off if we shared those stories with each other with respect. In classrooms, the histories and literature of migration provide powerful windows and mirrors that help help but understand not only our past but also the choices that people are making today. We have a range of resources and stories that can be used in classrooms and the community that can deepen knowledge, understanding, and provide opportunities for reflection. If anyone is interested in being in touch about organizing professional development, please visit Reimagining Migration’s Facebook page or Twitter account. PO: Across the country, students and educators are facing an increase incidents targeting Latino students where young people chant “Build a Wall.” What kind of impact do words of exclusion have on a young person and how can educators and community members address this? Unfortunately, the incidents of hate speech and intolerance aren’t simply targeting one group. We’ve seen swastikas, racist and anti-black YouTube videos, anti-Muslim bigotry, antisemitic incidents, and anti-LGBT hate. Both the Southern Poverty Law Center and a recent study from the UCLA Graduate school of education have documented the climate in schools. The headline of the UCLA report is troubling: they call out, “Increasing Stress and Hostility in America’s High Schools”. In the UCLA study, John Rogers, the lead author, explores how the current climate has impacted the social and emotional health and academic achievement of students across the board. The larger study is worth a read. It reminds me of what my mother, Margot Stern Stern, the founding executive director of Facing History and Ourselves, has always emphasized, schools do not exist in isolation. Schools and classrooms thrive when empathy and respect are the basic ground rules of every classroom. Schools must take proactive steps to make it clear that all students are valued. While it seems that everyone in the outside world is screaming, the classroom must be a place of listening. We recommend educators create classroom contracts with their students to clarify expectations about how members of the classroom community will treat each other. Bullying, hate, and intolerance are anathema to the give-and-take required for students to flourish. In today’s climate, many immigrant children may be reticent to speak. If you care to listen, however, you will hear narratives of resilience, grit, and optimism. We need to create space to have students share their stories. In schools, all too often, migrants and the children of immigration are isolated from their peers. We need to work to break down that isolation whenever and wherever possible. Too many projects aimed at engaging migrant youth are treated as one-off experiences and not integrated into the academic life of schools. Teaching about immigration for one or two days a year in a history class, or including an occasional reading by an immigrant author in a syllabus does not do justice to this defining dimension of the human experience. Through the histories we teach, and the literature we read, we can find ways to recognize the similarities and differences in the experience of migrant students to earlier American sagas of migration and immigration. Helping students to recognize historical patterns and discontinuities can empower them with the knowledge to counter myths and misinformation. Beyond the day-to-day, administrators must recognize that teachers need support adjusting to the changing needs of their students and society, yet they often lack the training and resources they need. Providing them needs to be prioritized and we are here to help. We believe that it is essential that educators reimagine approaches to migration inside and outside of traditional school environments. We need to equip a generation of young people with the knowledge, skills, and dispositions to work to build bridges between newcomers and receiving communities. This is the task of the next of our next generation — our shared future depends on it. PO: What is the mission of Reimagining Migration? As a top level we are seeking to foster in immigrant-origin youth and their peers the civic skills, social and intellectual habits necessary for democracy to flourish in the age of mass migrations. To do that, we are working with educators to creating learning environments in which all students are able to thrive. It is amazing that many of the practices researchers have identified to make a positive difference in the lives of immigrant-origin students, are helpful for all young people in school. Actually, maybe it isn’t so surprising, it is a reminder of our connections as humans. PO: You spent a good portion of your working life as a leader for Facing History and Ourselves. Why did you see Reimagining Migration as a place that would help you advance the core ideas and values that drive you? AS: So many reasons... the first is that migration is our shared experience as humans, and we, so often, fail to recognize it. It is core to the human experience and we can learn from our collective histories of migration. 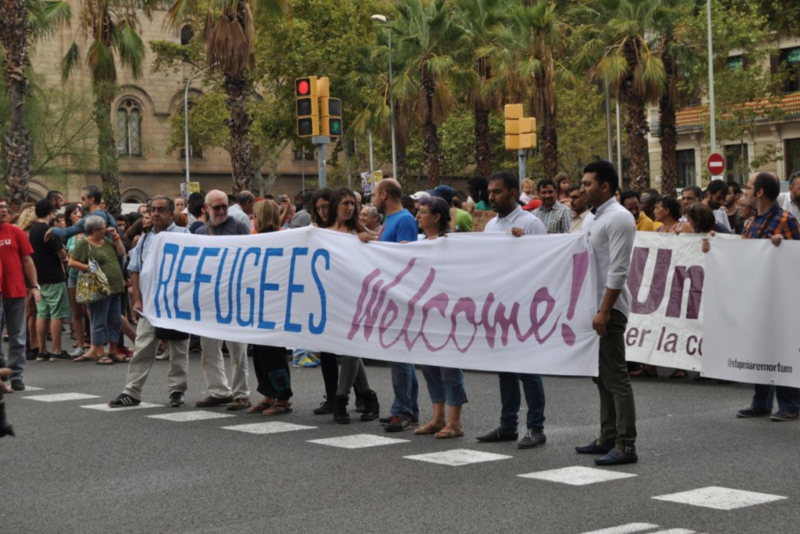 The second is that, the integration of migrants is fundamental to our shared future. 25% of the students in U.S. schools are immigrant-origin, that number is increasing is many parts of the world, and for the most part, helping prepare schools to serve immigrants, responding to anti-immigrant sentiment, and teaching about migration has not been prioritized in teacher education. Moreover, how do I turn down the chance to work with Carola Suárez-Orozco and Marcelo Suárez-Orozco, who are leaders in this field? I have admired and been inspired by their work for years, and the opportunity to help build this new organization with them is a dream come true. I want to be clear, we cannot do this alone. I am fortunate to be able to continue to have opportunities to work with my former colleagues at Facing History and Ourselves. I learned a lot from my work there that I bring with me to this new position. We need to enlist others to help prioritizing this important work, including learning from what others are doing, and building positive partnerships with others. Towards that end, Patrice, I hope that we can continue to support each other’s efforts. You have been a real leader as well, and I am fortunate to be able to benefit from your great work. In addition to the resources on Re-Imagining Migration, short Not In Our Town films on this topic can be found here. NIOT's PBS Film Light in the Darkness provides a deeper look at anti-immigrant attitudes and hate crimes. Find the film, screening kits and educator guides at NIOT.org/lightinthedarkness.